HOURS Sunday-Thursday Bar: 11:30 a.m.-10 p.m. Lunch: 11:30 a.m.-3 p.m. Dinner: 5-10 p.m. Friday-Saturday Bar: 11:30 a.m.-11 p.m. Lunch: 11:30 a.m.-3:30 p.m. Dinner: 5-11 p.m. There are multiple parking garages, as well as street parking, in the surrounding area of Terra. Parking validation is available. The Prudential Center is located near several mass transit stations including: Back Bay Station – commuters can walk from Back Bay Station to the Prudential Center without going outside! 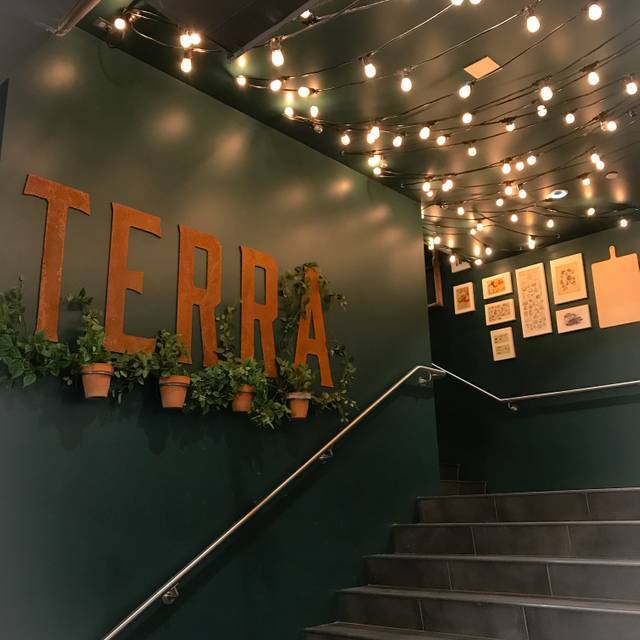 Prudential stop on the E line on the green line of the T. Hynes and Copley stops on the B,C, D lines on the green line of the T.
Private Dining: Terra offers a semi-private dining area adjacent to the wood burning grill. This are offers the full dinner menu and beverage list. 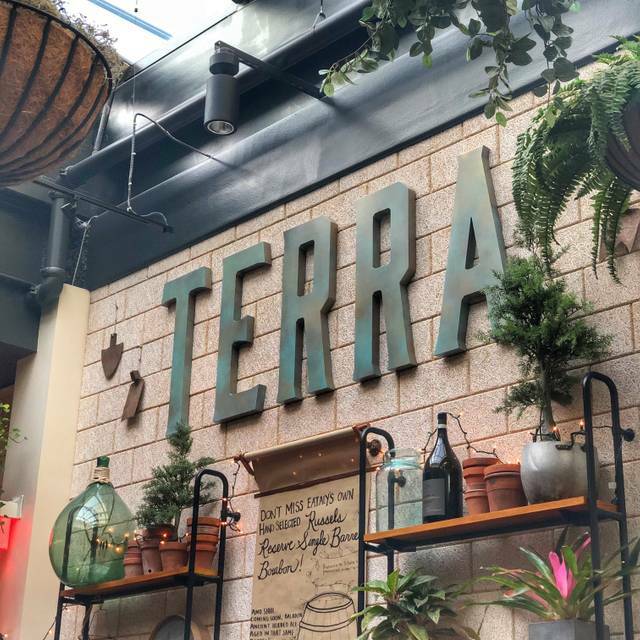 Located on the third floor of Eataly Boston, Terra is a unique restaurant inspired by earth and fire. The dining room centers around a wood-burning Italian grill, where Executive Chef Dan Bazzinotti cooks raw ingredients over burning flames, allowing the simple flavors to shine. In every earthy dish, the fire’s smoked warmth rekindles our fundamental connection to the elements. Plentiful and playful, the grilled plates are perfect to share around the restaurant"s rustic tables, especially when paired with seasonal drinks. 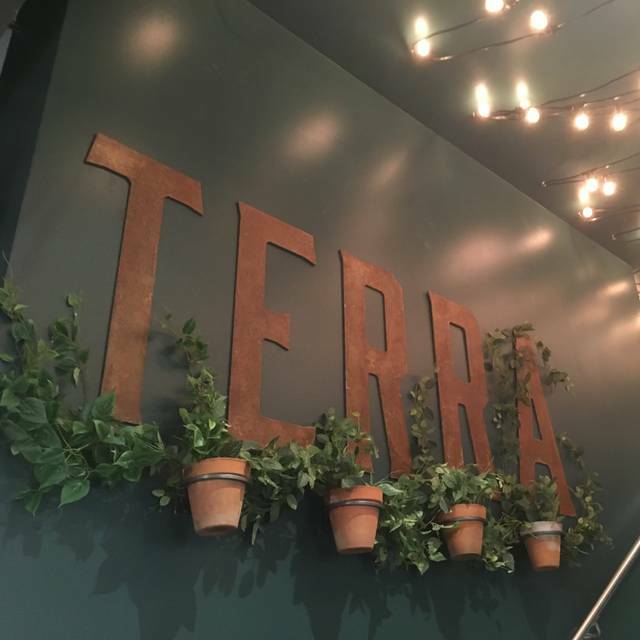 Terra’s ever-changing beverage menu includes herb-infused cocktails, rare wine terroirs, and barrel-aged beers. things you want to share! Very good food! Love the chicken. It was fantastic as always. Took my parents for the first time and they loved it. They have been all over the world eating at the best restaurants and they had a wonderful time! Had to wait 20 min for a table we had booked for 2p. Service was slow, food was slow to the table & very salty, Disappointed after really looking forward to eating here. The service and the atmosphere were great, however we werent impressed with most of the meals that we ordered, and the meat was disappointing. 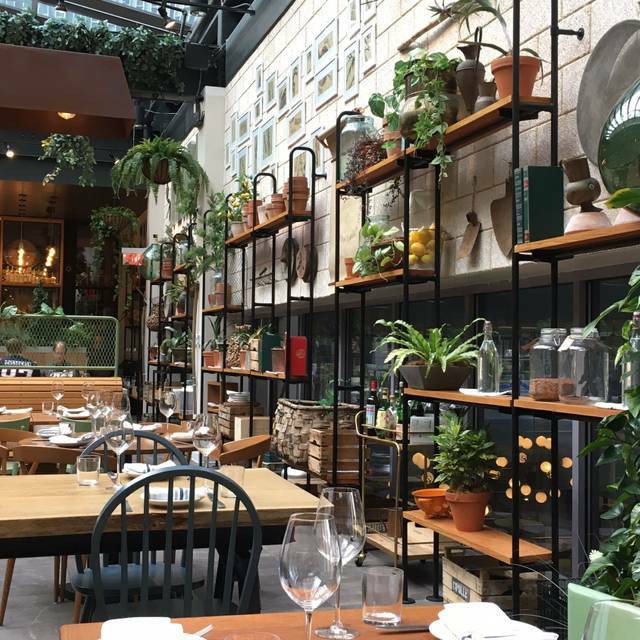 Visited Boston from NYC, loved everything from our cheese plate, to the wine and our main courses — fresh, delicious food and beautiful atmosphere. Will definitely return! Food is absolutely excellent and authentic. Service was great. Tables are too close together so it’s difficult to have a private conversation. We were very late for our reservation due to traffic and poor planning on our part. The staff was very accommodating and did there best to find us a table, and get us out the door on time for the show we were seeing. Our food was delicious, great ambiance, and wonderful customer service. Wish we didn’t have to rush through our dinner! Food was good but very expensive and small portions. Terra puts out some beautiful plates - the fresh and creative presentation of our lunches was noteworthy. I had the fried chicken cutlet and would gladly recommend to any 'schnitzel' fans. Nice environment, friendly service that was efficient without feeling rushed. i wish Terra would have an allergy free food grill, one they can clean and be sure no cross contamination with happened when cooking meat and chicken since people are allergic to shellfish and pork. The food and atmosphere were absolutely fantastic, and the service was prompt and helpful. This is a place where you not only get what you pay for, but it honestly feels like you get a particularly good value for your dollar. Worth the time, money, and experience. Everything I tried was delicious - the various bruschetta and the beet salad. It was a little pricey for lunch in Boston. A serious restaurant with good service in an appealing atmosphere. 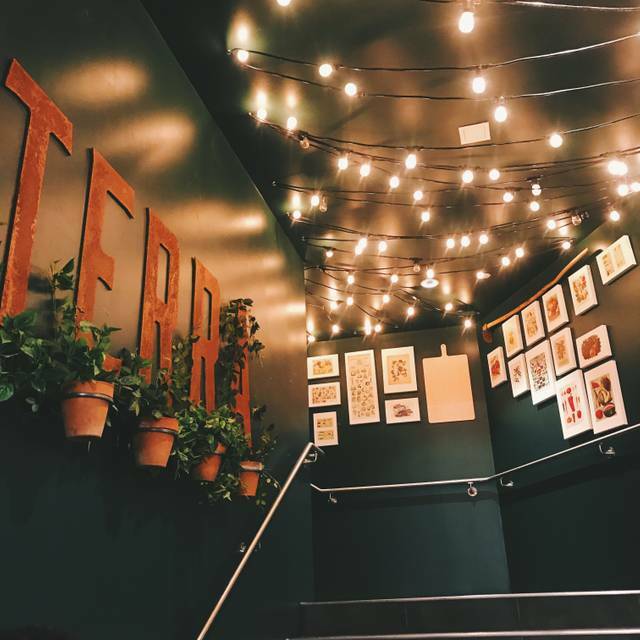 Terra was a wonderful place for dinner. The food was excellent and the wait staff were very personable and attentive. The only issue was that it was very loud. At times I had a hard time hearing people in my party speaking directly to me. All in all, I'd eat there again without hesitation. This was my first choice for a birthday dinner. The food is not fancy but simply prepared and delicious. The beet salad was amazing with the burrata complementing the richness of the beets in color and flavor. The grilled whole sea bream tasted fresh out of the ocean. My husbands gargantuan steak incredibly flavorful. Another fabulous meal!!!! we love the skewers and had fun with a flight of Grappa (definitely an acquired taste). The wait staff is very friendly and knowledgeable, makes it fun to ask questions and learn more about italian wine and food. Good for lunch, the natural sunlight and ambiance is amazing! My husband ordered the pork chop- black and burned on the outside, not cooked through on the inside. Disappointing meal. Wonderful ambiance! Interesting menu, but a bit confusing. Food was delicious but very pricy for the size of the portions. Great professional service. Fantastic delicious food. Flavors were off the chart, so good we went back two nights later!!! We’ve been many times. Lamb keeps getting smaller and more fatty. Some good things on the menu but hit or miss for sure. Not what it used to be. We’re done. My chicken seemed like it was barely cooked enough, otherwise everything was great! Overpriced, food poorly prepared, and served not even warm. Our experience w Terra is consistently excellent. However our experience with Open Table is a problem. We made reservations there through Open Table this week for Wed April 3 2019. We drove 40 minutes to get there. 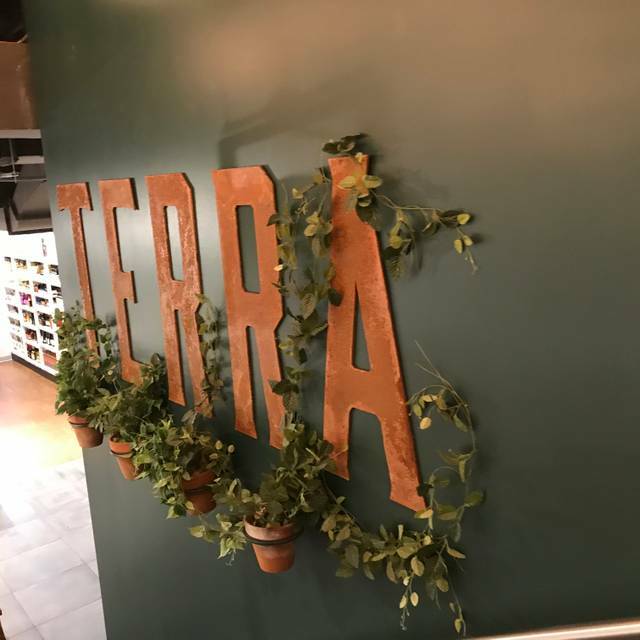 However when we arrived Terra was closed for a private party. The mature d was apologetic and helpful but very surprised. Why did Open Table allow us to make these reservations? Also the previous week’s we had cancelled a reservation there again made through open table but then we got a call from them and a note from you complaining that we had just not shown up. I responded and you apologized and hopefully updated my record in your file. On Thurs April 4 when we returned to Terra, I attempted to change the time of my reservation, but your app showed that I now had 2 separate reservations in the same night. I tried to clear this up at the restaurant but they said they only saw one reservation in their system. Always great food. The restaurant fest menu was good and priced pretty good. The $25 wine bottles were all sold out “because it was the last day of the fest”. Disappointed that they don’t have better inventory management. 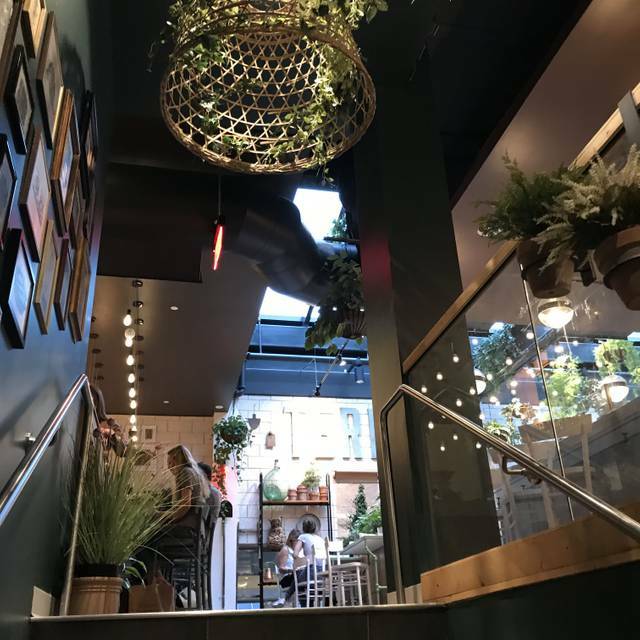 I did love the food and the restaurant is beautiful! However, our service wasn't the best as we had multiple waiters and waitresses. I never would not recommend a restaurant due to their service. Maybe they were just having a bad day or management wasn't present. Either way I will be back to find out as the food was phenomenal! 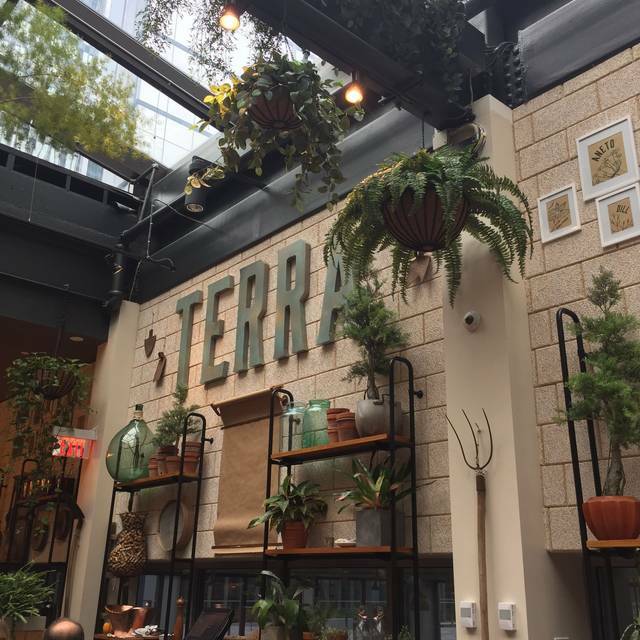 I was very excited to try Eataly Terra but left disappointed. The ambience is very nice but the food leaves you wanting more. The servings were very small and the drinks were very expensive. After an appetizer, meal, and side, I left the restaurant hungry. Aside from small portions, the food was plain and could easily be done at home with good company and a YouTube tutorial. I don’t foresee myself coming back in the future. It was the worst possible spend of $100+ on food. Our grilled carrot was all burnt and the grilled chicken again were all super burnt and dry. They probably tried to cook the chicken on the fire all the way, although they should’ve boil them first and finish it on the grill. We left most of the chicken - it was hard to eat. We asked he server a couple of times whether it was normal. He kept saying it was intended. But I don’t think so. They had the special 2 course meal offer that say, and probably had people rush to cook. The food was really subpar also the service. We were disappointed with our server which unfortunately had a negative impact on our entire dining experience. It's worth eating here because the service is splendid and it's a beautiful space, but be prepared to spend a lot of money on pasta! The ingredients are very fresh and well prepared, and the food is nicely arranged to please the eye. For me, the pasta was a little too al dente, though I suppose that's to make sure you know it's fresh. This also tends to be a very noisy space, so forget intimate romantic dinners here. Buratta on bread was AMAZING! Pastas were also so delicious. Service from the manager was wonderful, had quite a sense of humour which we loved. Our server was a bit pushy though and seemed like she was rushing us out. But we just ignored it and kept enjoying our night. Would still recommend! 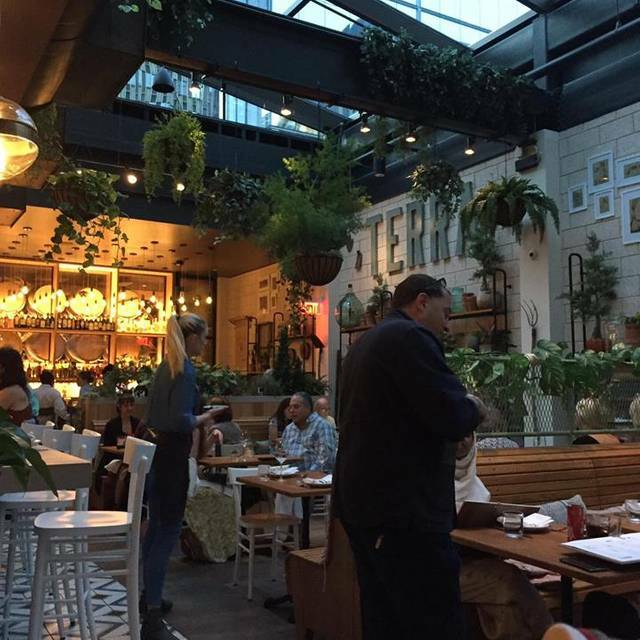 Great decor & vibe. One of the hostess was very rude, but we’ve been before and think it was just that one person since the others were great. Our waiter John was amazing, as he always is. Food was delicious.